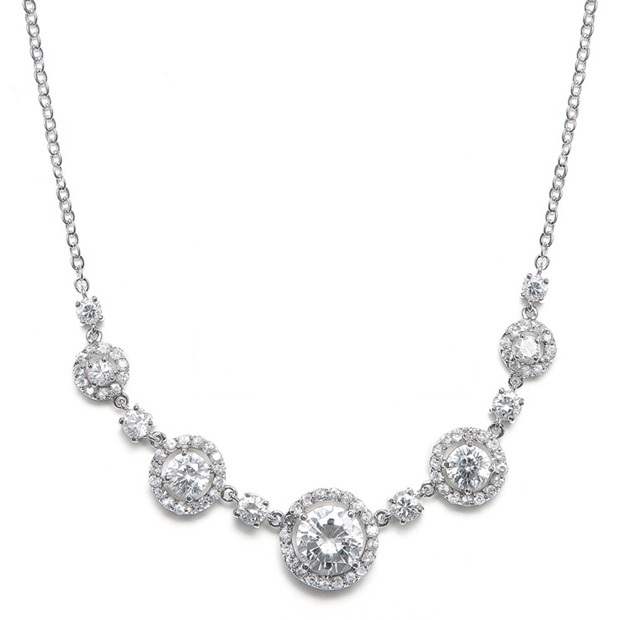 * This gorgeous Cubic Zirconia bridal necklace features five bold CZ rounds framed in dainty inlaid cz's. * This exquisite necklace is inspired by the circle of love necklace and makes the perfect wedding day jewelry. * Mariell's wholesale bridal necklace is richly plated in silver rhodium and conveniently adjusts from 16" to 18" to be worn with any neckline. * The necklace has a beautiful coordinating earring 347E sold separately.